Bristlecone Pine is one of the oldest living plants; gnarled specimens are recorded at 2000 -7000 years of age (depending on which reports you read). 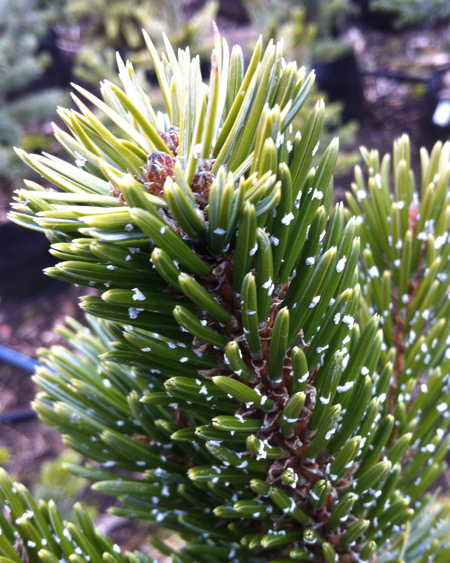 It has 1 ½inch long, dark green needles in groups of five, closely bunched, with flecks of white resin. A slow growing tree or shrub, it may reach ten to twenty feet after many years, and always looks ancient. It grows naturally near the timberline of high mountains. Very choice, give it a place of honor in the alpine bed where it can have excellent drainage and sun. 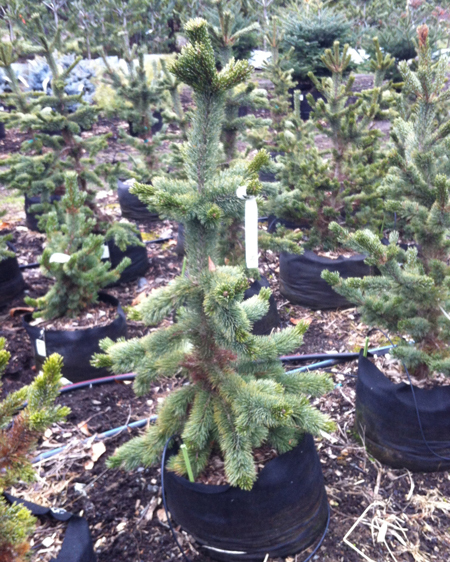 Bristlecone can be used in containers, as long as there is good drainage and adequate care. Is a natural for alpine beds.